A glint of the sun’s rays on the water under an azure blue sky belied the struggles on Anna Maria Island. As red tide stretched into a second week on island and nearby shores, the toll on marine life continued to climb and businesses suffered. 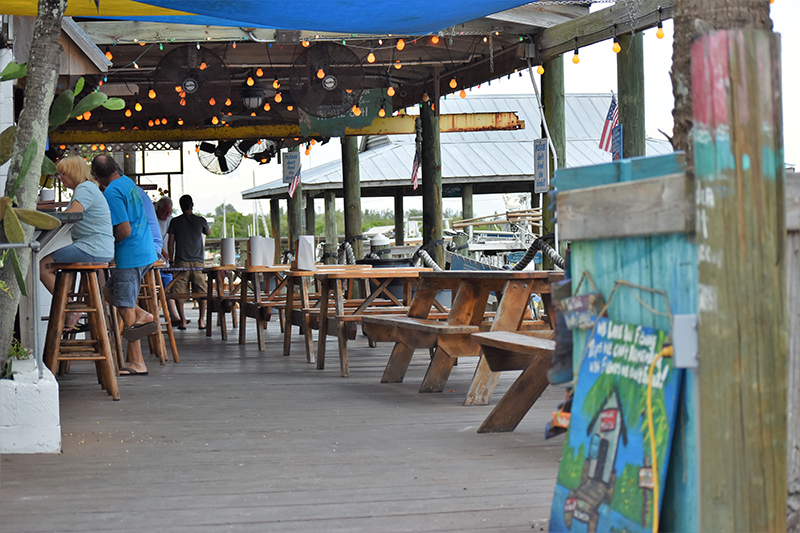 At the Swordfish Grill and Tiki Bar in Cortez, business owners, politicians and officials answered a call to action Aug. 14 to campaign against red tide’s stench. Organized by Swordfish general manager Bob Slicker, the group seeks solidarity and a turnaround on the public perception of conditions on the island and the surrounding area. The group met again throughout the week, discussing ways forward through the red tide crisis, sending a positive message and supporting one another’s businesses. Jason Suzor, owner of the Waterfront Restaurant, 111 S. Bay Blvd., Anna Maria, attended the meetings. He says business slowed after a record-breaking year of revenues. Gov. Rick Scott activated the Florida Small Business Emergency Bridge Loan Program Aug 13 due to the impact of red tide and another harmful algal bloom in the southern part of the state. Scott declared a state of emergency the same day for Manatee and Sarasota counties, as well as five other Gulf Coast counties. 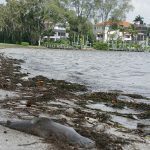 The order released funds to clean up dead marine life and also clean up Florida’s public image after extensive local and national news coverage of the HABs. Interest-free bridge loans are available to small businesses in the designated disaster area that have experienced physical or economic damage as a result of HABs. Businesses can qualify for loans between $1,000 and $50,000. For red tide relief loans, businesses must have been established before July 9, be privately held for-profit companies, maintain a place of business in Florida and employ two-100 people. The loans are short-term, for working capital to “bridge the gap” in revenue. The borrowed funds must be repaid in 180 days. Yet, six months may not be long enough to clear the red tide. The current bloom began in October 2017, almost 10 months ago. As government officials and business owners struggle with red tide effects, some entities are struggling to find a solution. Scientists at Mote Marine Laboratory were at Boca Grande Aug. 14, testing an ozone treatment unit in canals. The mechanism, which removes the red tide toxin, Karenia brevis, from seawater, is in use at the Mote Marine Aquarium in Sarasota. The ozone treatment kills the red tide cells. Testing was to continue through the week, and Mote plans to release results later this month. Also, Mote continued daily monitoring of the water off the coastlines, posting results in an online report. It also was working with the Florida Fish and Wildlife Conservation Commission to monitor, rescue, rehab and remove marine mammals. According to phys.org, a science-gathering website, more than 100 tons of dead sea creatures were shoveled up from Florida’s southwest coast this month. As of Aug. 16, 13 deceased dolphins — including one known to the Sarasota Bay Dolphin Research Program since 2006 — had been collected and returned to the lab for necropsies. FWC is dealing with manatee and sea turtle casualties, which, like the dolphins, continued to mount. 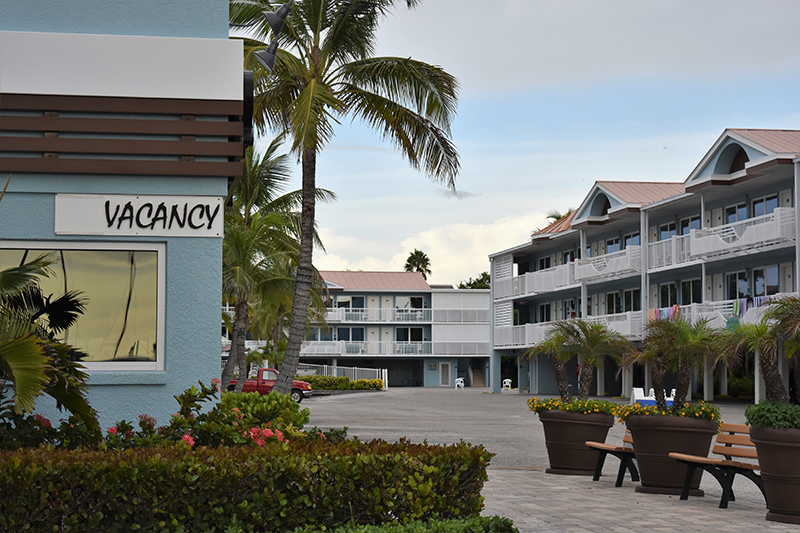 By Aug. 15, reports of birds beginning to sicken were coming in and organizations such as Bradenton Beach’s Wildlife Education and Rehabilitation Center were caring for them. On Aug. 17, the rehab housed two ospreys, seven gulls and a sick cormorant. Ed Straight said no pelicans had been brought in, but he noted a strange happening on the water the morning of Aug. 17. For information about red tide and conditions, go online to myfwc.com and visitbeaches.org. MoteMarine reports dead dolphin and sea turtle removed today from Anna Maria beach. It’s not anywhere near over. It is time for some honesty about red tide, and particularly from Mote Marine Lab. 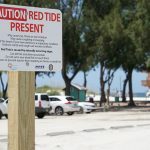 The fact of the matter is that Mote has been trying to convince politicians, donors, and the general public that it is working toward some sort of solutions for red tide – FOR OVER 40 YEARS NOW! The reality is that any meaningful solution is not going to happen. The opportunity for a solution has long passed over those 40 years while politicians failed to protect our coastal environment from the impacts of unrestrained growth and so-called development. These impacts destroyed the natural ecological components like mangroves, marshes, creeks and natural shorelines that helped absorb excess nutrients that feed red tide. Mote stood by mostly silently as long as political pork was directed their way for red tide funding and as long as public donors kept donating in hopes that they were helping to find a solution to red tide. Mote’s Board of Trustees, largely dominated by wealthy individuals with financial interests in development and real estate had no interest in protecting the environment, and discouraged Mote scientists from being engaged in what they saw as environmental activism. Now, Mote tries to deceive by publicizing their irrelevant and useless ozonation — something that has no value other than to improve conditions in a few wealthy waterfront canal situations . Yet Mote continues to dishonestly publicize this (something that has been used to disinfect public water supply for many decades) as some promise toward ameliorating red tide. If Mote has been unable to solve red tide over 40 years with many millions of dollars of funding, its continuing begging for more funding is nothing short of fraud. Mote will not solve it.. No more funding for Mote’s scam. It is time for some honesty about red tide, and particularly from Mote Marine Lab. The fact of the matter is that Mote has been trying to convince politicians, donors, and the general public that it is working toward some sort of solutions for red tide –FOR OVER 40 YEARS NOW! The reality is that any meaningful solution is not going to happen. The opportunity for a solution has long passed over those 40 years while politicians failed to protect our coastal environment from the impacts of unrestrained growth and so-called development. These impacts destroyed the natural ecological components like mangroves, marshes, creeks and natural shorelines that helped absorb excess nutrients that feed red tide. Mote stood by mostly silently as long as political pork was directed their way for red tide funding and as long as public donors kept donating in hopes that they were helping to find a solution to red tide. Mote’s Board of Trustees, largely dominated by wealthy individuals with financial interests in development and real estate had no interest in protecting the environment, and discouraged Mote scientists from being engaged in what they saw as environmental activism. Now, Mote tries to deceive by publicizing their irrelevant and useless ozonation — something that has no value other than to improve conditions in a few wealthy waterfront canal situations . Yet Mote continues to publicize this (something that has been used to disinfect public water supply for many decades) as some promise toward ameliorating red tide. If Mote has been unable to solve red tide over 40 years with many millions of dollars of funding, its continuing begging for more funding is nothing short of fraud. Mote will not solve it.. No more funding for Mote. Clean and welcoming? Are you serious? We have noticed significantly fewer shore birds. They appear to be moving elsewhere. The economic effect is sure to be significant. Especially since in recent years the “season” has been expanding on either end becoming longer. It would appear that will not be the case this year. Snow birds will look elsewhere. While the restaurants band together to lure the tourists, truth be told, the smell is irritating and a good many of the snowbirds are an older population. Taking a chance with their health is not an option. The shore birds move according to their food source — to be expected. All will return to normal soon. And any business that wasn’t prepared to be slow after school started, should adapt its expectations. There’s still plenty to do and visit on Anna Maria Island and most beaches — if not all — are clean and welcoming. There’s very little to worry about here! I just saw an update that says Anna Maria Island levels are HIGHER. How could FL Fish & Wildlife be wrong????? The FWC report is high concentrations…. read The Islander red tide report (boxed). I do enjoy The Islander during our winter months in AMI. Excellent job of reporting the news of AMI and beyond!